Carrot fly is a small black-bodied fly whose larvae feed on the roots of carrots and related plants. In fact carrot fly is the most problematic pest of carrots, able to make the large proportion of your carrot crop inedible! What are the symptoms of carrot fly? You can generally spot carrot fly from rusty brown scars that ring the tap roots. This makes the carrot inedible, and susceptible to secondary root rots. 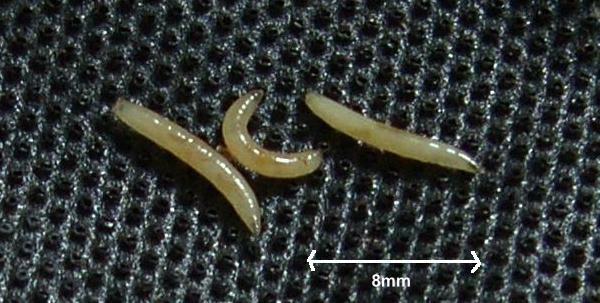 When the roots are cut through, you will see that small tunnels are revealed, often inhabited by slender creamy-yellow maggots up to 9mm long. 1. Sow your carrot seed sparsely to avoid thinning the seedlings out later on. 2. Female carrot flies searching for egg-laying opportunities are attracted by the smell released when surplus carrot seedlings are removed. With that in mind, never leave your thinnings on the ground - always remove and destroy. 3. 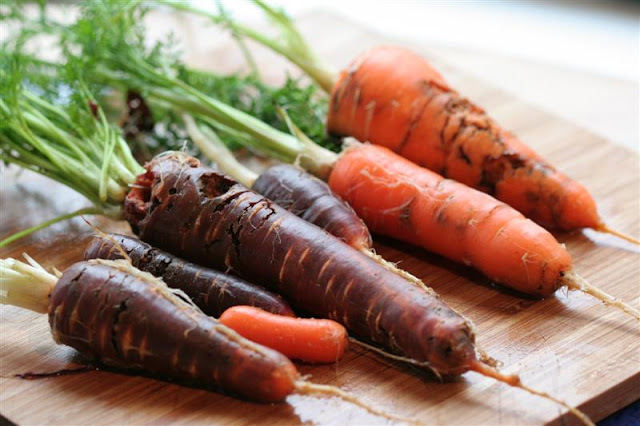 Late sown carrots (after mid-May) avoid the first generation of this pest; similarly carrots harvested before late August avoid the second generation. 4. Protect vulnerable crops by surrounding them with 2ft) high barriers made of clear polythene to exclude the low-flying female flies. Alternatively, cover the plants with horticultural fleece. It is essential to practise crop rotation when growing carrots, otherwise adult carrot flies may emerge within the protected crop from overwintered pupae in the soil. 5. Choose carrot cultivars that are less susceptible to carrot fly, such as 'Fly Away', 'Maestro', 'Resistafly' and 'Saytan'. Be aware however that there is no such thing as a carrot fly proof variety, only carrot fly resistant. 6. 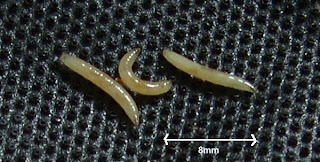 A mixture of pathogenic nematodes, can be watered into the soil to control the young larvae. This is available by mail order from biological control suppliers.